five miles an hour, and flies well indoors. 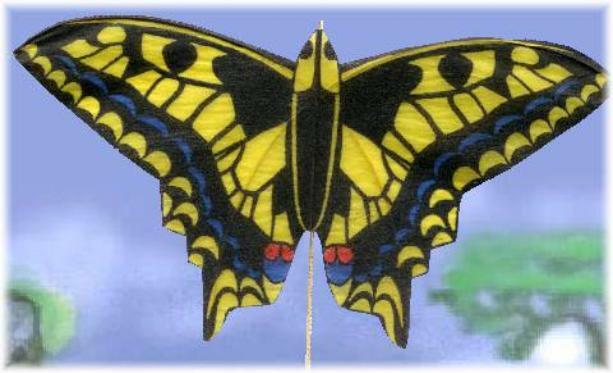 It is as close to the size of a real swallowtail as I can get. Maybe even a little smaller, depending on where you live. hand-colored prototype sold at auction in 2002, for thirty-five dollars. and winder. Flying tips are included on the inside label. Ready to fly!